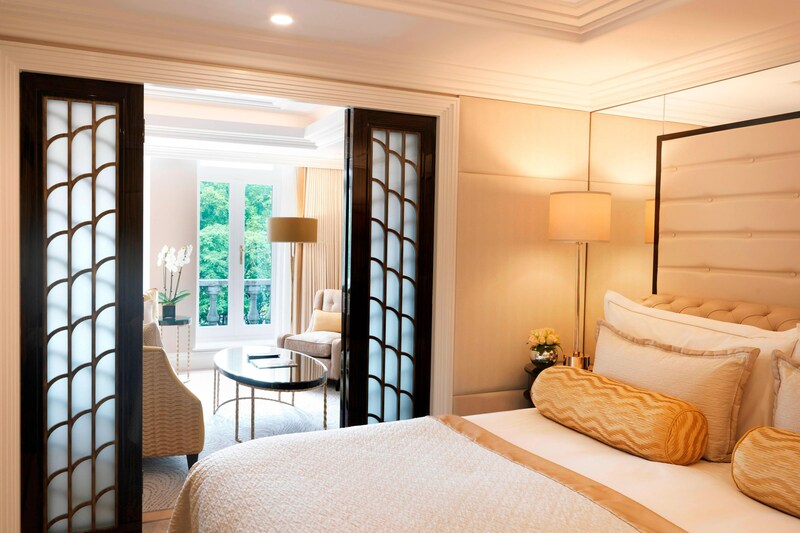 Enjoy our wonderful guest rooms or suites and thoughtful amenities during your stay at The Wellesley Knightsbridge, a Luxury Collection Hotel, London. We have married luxurious expressions of deco grandeur with the personal attentiveness of a true boutique experience to create an exquisite jewel for the discerning traveller. Guests enjoy a range of complimentary amenities, including Hermès bathroom products, &apos;handy&apos; portable devices offering complimentary calls and data, complimentary movies on demand, high speed Wi-Fi and in room tablet. Our Park View Suites offer spectacular views over Hyde Park. Choose from our elegant Junior Suites or the spacious One Bedroom Suites, which offer a separate sitting area from the bedroom, allowing plenty of room to relax and unwind.